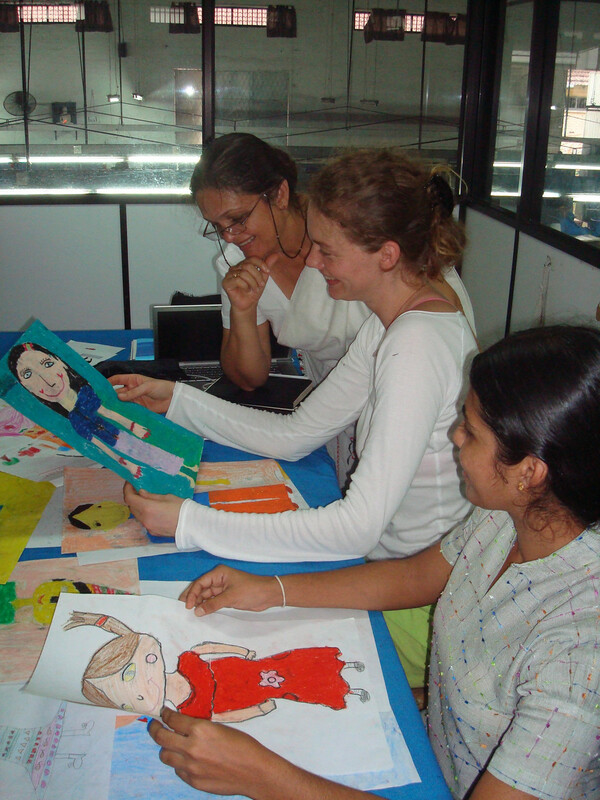 Me and My Doll is a social design project in partnership with the Selyn Socio-Economic Development Foundation based in Sri Lanka. The foundation helps rural women irrespective of caste, creed, religion or race attain their common goal: to make a better life for their families and children. The project started when Alexa was invited by Sandra Wanduragala, to Kurunegala, Sri Lanka to work and live with the community. After a few days of getting to know the possible manufacturing steps as well as the goals of the people involved, Alexa learned that they were dreaming of building a new school that would be accessible to all. To realize this dream Alexa thought of a product to be manufactured with the local production possibilities as well as involvement of school children. To ensure the proceedings of the manufacturing would be solely used for the defined projects aims, Alexa suggested the establishment of a foundation which resulted in building of the Selyn Socio-Economic Development Foundation. 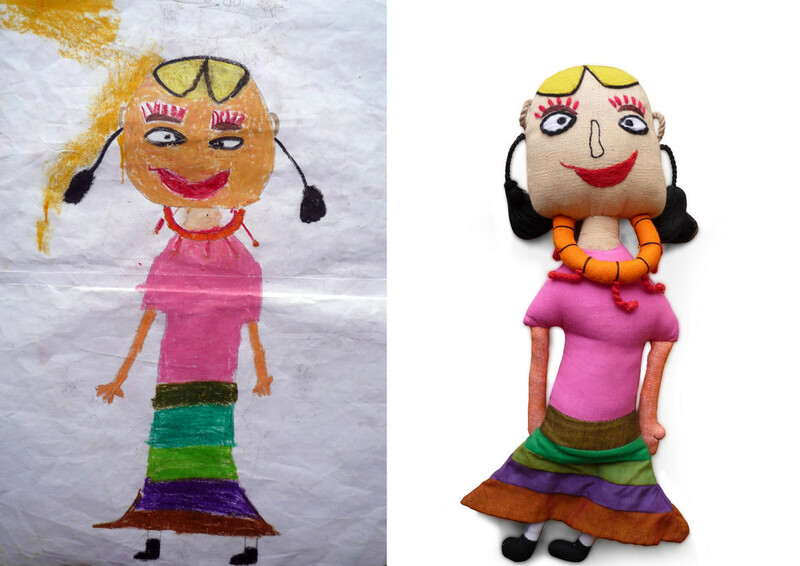 Me and My Doll materialized with a simple notion of using drawings of their favorite characters made by the school children of the Royal International School in Kurunegala. From that collection Alexa selected six drawings, ensuring that every detail and oddity were kept from six fingers to dental brackets to a bullet belt (only a gun was excluded). 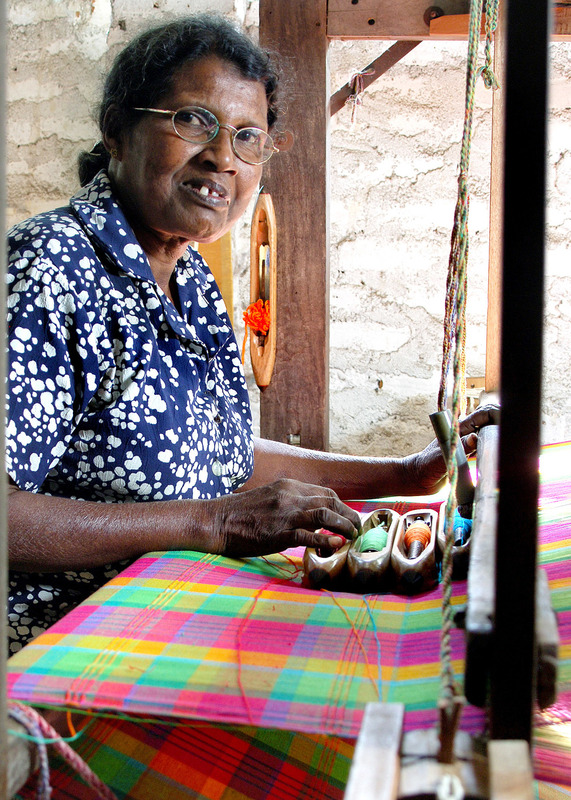 The first step of the process included hand-dyeing the cotton, using only certified dyes, weaving the cotton, and ultimately piecing and sewing together each doll by the women of the community. After the dolls were completed, they were named by their creators. Each doll comes with its own little sleeping bag designed in matching colors. If the project sounds idyllic it is because Alexa is able to entrust everything in Sri Lanka in the good hands of the Selyn team. Its administration is responsible for contracts and ensuring sound and fair trade working conditions for the women, which work in their rural villages or even from the comfort of their own homes, enabling them to take care of their children as well as making a living. Proceeds from the manufacturing of the dolls are donated to the foundation and used for the construction of a new state of the art school for the students of the Royal International School in Kurunegala. Next steps for the Royal International School and Selyn Foundation include establishing pre-schools in the more rural parts of Sri Lanka, especially the post-war zones, in formerly hostile areas as they believe that true reconciliation for lasting peace has to be initiated from schools and student exchange. 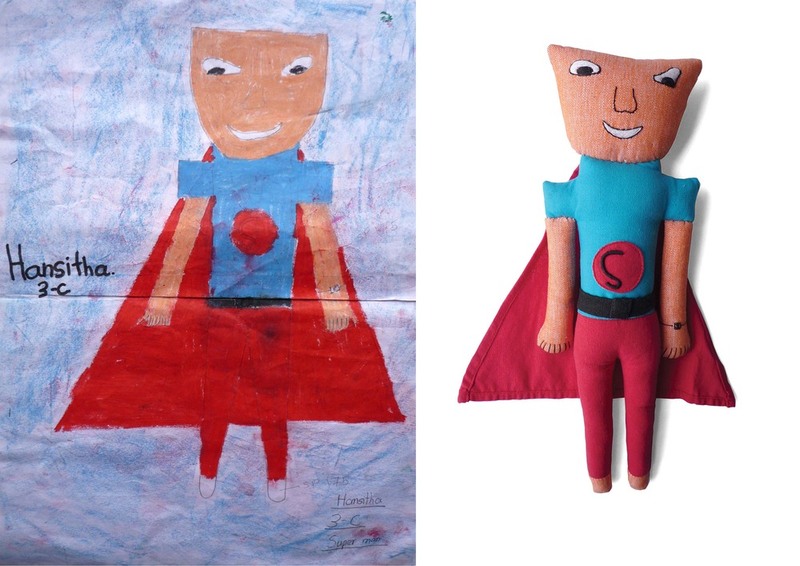 Me and my doll received the Design Plus Award and a nomination for the German Design Award. If you are interested in supporting the project through collaboration, wholesale or order of custom edition of certified Fair Trade and CE tested dolls or stuffed animals please contact Alexa.